Work Visas for the tech industry may be changing thanks to an executive order that’s said to be coming from the White House. 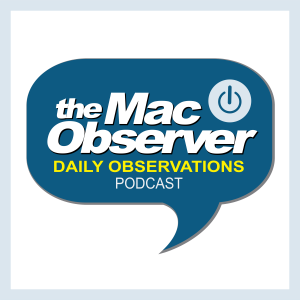 Bryan Chaffin and John Martellaro join Jeff Gamet to look at the draft order and the impact it could have on Apple and other Silicon Valley companies. They also have some thoughts on the rapidly changing smart home market and Apple’s apparent lagging position. Ok, so here I go FanBoy on all of you again. Yes, the sooner Apple pushes homekit, the better. But your view of how far behind or how time sensitive this is, is way off base. So let me take Jeff to task first! There are 3 options to deal with the “issue” of taking your phone out of your pocket. The best is wear your AppleWatch! Having a microphone on your wrist is even better than one across what could be a loud room. We are a family of 5 with a dog so there would be constant noise to distract a distant voice assistant. Another option is headphones (like AirPods or even EarPods). Even on StarTrek they normally touch the communicator to issue a command and finally you can simply have an iPad plugged in. But all of this ignores the current huge hole in Echo and home automation which is a lack of remote access. Homekit handles this in an amazing way that does not requires me to register my devices with ANYBODY! beyond the AppleID I already have. I know this is a difficult thing to “sell” to the public but it is vastly superior! Finally, regarding the time frame. It is not yet about how many Echo’s have been sold because this would be a rounding error compared to the number of iPhones, it is about how many home automation appliances have been sold to integrate with echo, and that number is only a small fraction of Echo sales. Home automation is still in it’s infancy and HomeKit had a good showing at CES, so this fight is far from over.